Clean water and reliable energy are at the heart of what we do. We proudly keep the lights on and the water flowing in over 100 communities across North America. With a rich 125-year history, EPCOR has ambitions to be one of North America's premier providers of essential services, and we have the top employer and sustainability awards to prove it. If you're looking for new opportunities, people who care and work that matters, apply today to find a career where you matter more. Check out epcor.com/careers to find out more. Brief Description EPCOR LEGAL IS GROWING! EPCOR’s business and geographic footprint is growing and to support that, our Legal Services team is looking for 2 new full time, permanent team members! One role is Legal Counsel, Compliance, Privacy and Regulatory and the other is Senior Counsel, Corporate-Commercial. Providing legal advice on capital and business development projects, including infrastructure/construction projects, public-private partnerships, mergers & acquisitions and related partnering arrangements. Corporate-commercial matters, including corporate structuring, negotiating and drafting various commercial goods and services contracts. Developing and implementing checklists, protocols and template agreements for various commercial work. Developing, implementing and reviewing business plans within the context of Legal Service’s business plan. Overseeing and directing one or more Legal Counsel in the performance of legal work in the areas of project development, mergers and acquisitions and general corporate-commercial law, including procurement. Ensuring effective and appropriate relationships between Legal Counsel and other roles in the Legal Services’ area and within the rest of EPCOR. Performing legal work in relation to compliance, privacy and regulatory matters, with a focus on compliance and risk mitigation. This includes providing advice in the above areas and ensuring advice is proactive, business oriented and focused on achieving EPCOR’s goals and strategies. 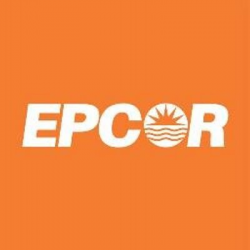 Supporting EPCOR’s compliance with the Code of Conduct and privacy legislation, as well as assisting with, preparing and overseeing regulatory applications and related advice. Working under the direction of the Senior Legal Counsel, Regulatory, Litigation and Ethics, and in collaboration with the Senior Manager, Compliance, to assist with compliance, regulatory and privacy matters. Ensuring systems are in place for monitoring, auditing, conducting investigations and reporting the effectiveness of EPCOR’s compliance and privacy programs and ensuring EPCOR’s compliance with law and industry standards. Informing and advising corporate and business unit leadership groups on developments in their area of law and the potential impacts of legislative changes and/or court decisions. Contributing to reports prepared by or for the Associate General Counsel or General Counsel. Providing input to Associate General Counsel’s plans and directions. Providing timely, proactive and solution-oriented legal advice to all business units. Ensuring external legal support is appropriately retained and managed by identifying necessary budget requirements for the provision of external legal services and appropriately managing external legal expenses. Developing, implementing and reviewing Legal Service’s processes to ensure compliance with EPCOR policies and standards, while ensuring mitigation of risks. Carrying out legal research as required. Demonstrating a high performance, highly disciplined, independent, achievement-oriented, “easy-to-do” business with manner of working. LLB, Juris Doctor or equivalent from a recognized university. A member in good standing with the Law Society of Alberta. 10+ years of applicable, recent continuous legal experience post call to the Alberta Bar. Experience in corporate commercial law, including one or more of infrastructure, construction and P3 law. Experience in one or more of corporate governance, securities or financing/credit agreements would also be an asset. Demonstrated experience providing counsel to executive/management level. Demonstrated experience leading lawyers/legal professionals. Strong verbal and written communication skills and an established record of providing proactive, business friendly advice with a focus on adding value. Excellent interpersonal skills that allow you to act as an influencer as well as a relationship builder while developing working relationships with the groups that you support. Follow us on LinkedIn, Twitter or Facebook! #LI-AR1 How To Apply Thank you for your interest in a career with EPCOR. Due to the large volume of applications, only candidates selected for interviews will be contacted. EPCOR is an Equal Opportunity Employer. Positions are filled by means of open competition where the selection is based on job-related skills, training, experience, suitability and, where appropriate, seniority. Clean water and reliable electricity are at the heart of what we do. We proudly keep the lights on and the water flowing in over 100 communities across North America. With a rich 125-year history, EPCOR has ambitions to be one of North America’s premier providers of essential services, and we have the top employer and sustainability awards to prove it. If you’re looking for new opportunities, people who care and work that matters, apply today!